The jazz quartet links up with Chicago singer Lili K for this very interesting submission. The instrumentation and vocals come together so well to create a smooth, atmopsheric track. Look for more from these two artists soon. Virginia-based producer OH-Man!’s EP The Daily Chronicles is an incredible project. It seriously captures the feel of the east coast, and features some great artists on it too. But the instrumental cuts are soooooooo good. Café Nervosa can literally be described as a remix of a 1930s movie scene. Check it out. I personally dislike the original version, but this remix of Hudson Mohawke’s Chimes by one half of producer duo/group Hypno Soul is seriously, seriously great! Hopefully we’ll have more of their tracks to feature in the coming weeks, but for now, enjoy this remix. 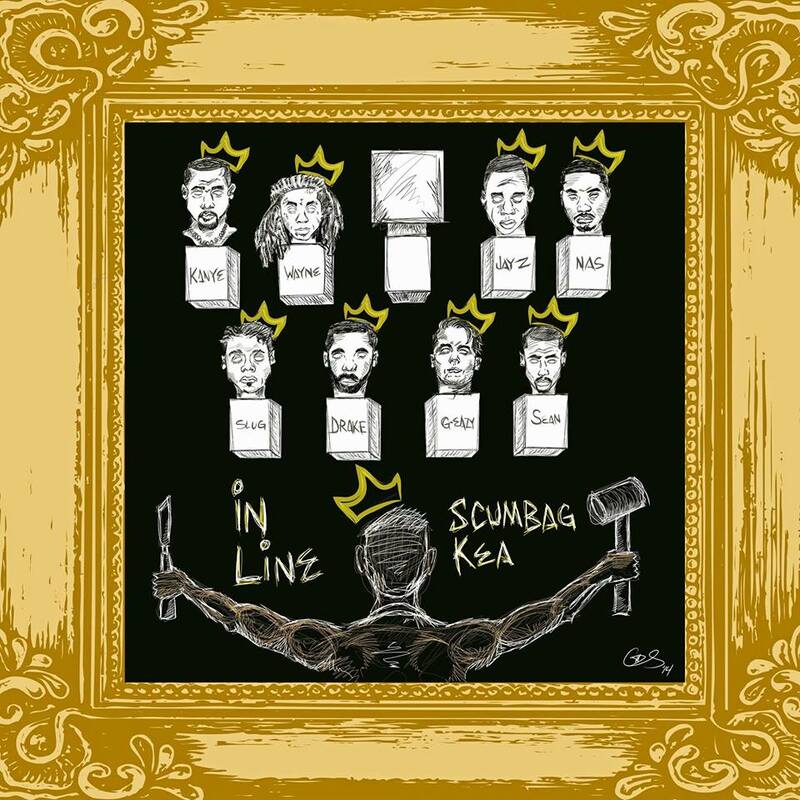 Tomorrow marks the release of Scumbag Kea‘s new album In Line. The 12-track project features his track ‘I’m The Man’ (available below) and all of the album’s Bandcamp proceeds will go to Rise Together to support heroin awareness, education and prevention (stay tuned for the link). ← Songs of the Week featuring Lana Del Rey, Raury, Taylor Bennett and More! Thanks for featuring my music and allowing me to reach out to a wider audience. It is greatly appreciated!